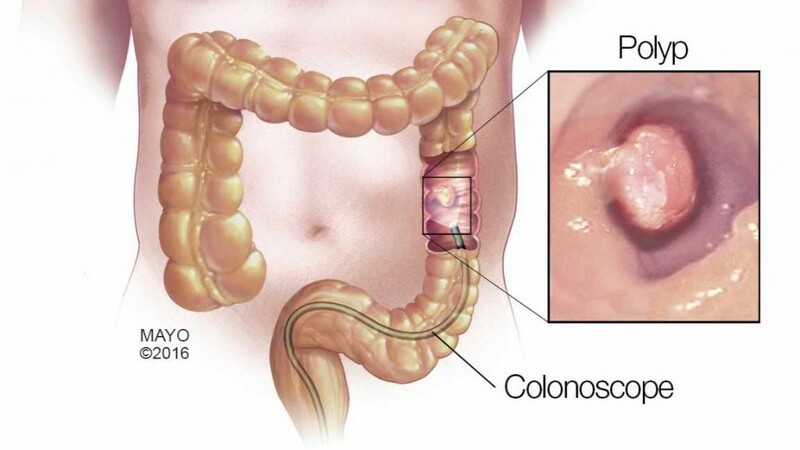 Promoting the use of colonoscopy through visual graphics, a team of gastroenterologists on Mayo Clinic’s Florida campus has won the Community Outreach Award from the American Society for Gastrointestinal Endoscopy (ASGE). The award is for designing an infographic that grabs readers’ attention in a manner that is easy to understand and effective in promoting colorectal cancer awareness and prevention. The illustration equates road safety signs to signs to follow to ensure personal health. For example, a yellow roadside caution sign says this in text next to the sign: Screen earlier if there is a family history of colorectal cancer. Drs. Bhaumik S. Brahmbhatt and Michael B. Wallace will receive the ASGE award at the ASGE’s 75th-annual meeting in San Diego in May. ASGE will feature the graphic in a booklet and on the organization’s website. 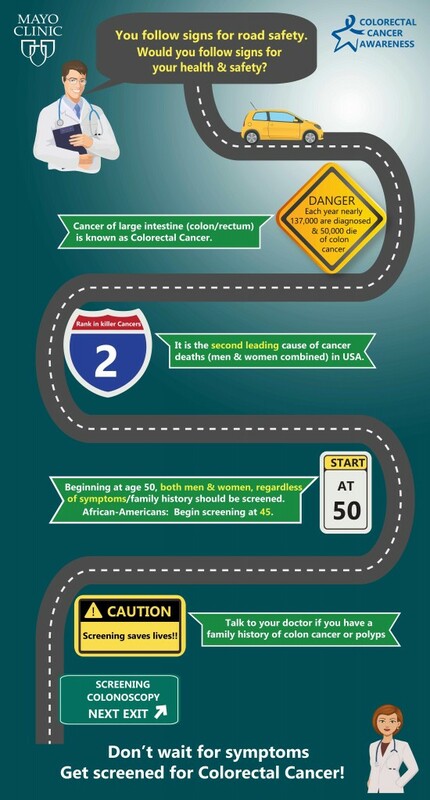 ASGE also will use the graphic in information campaigns designed to increase colon cancer prevention awareness. Mayo Clinic PathWays March 29: What’s the Diagnosis?